What Are the Signs That a Dog Might Bite? 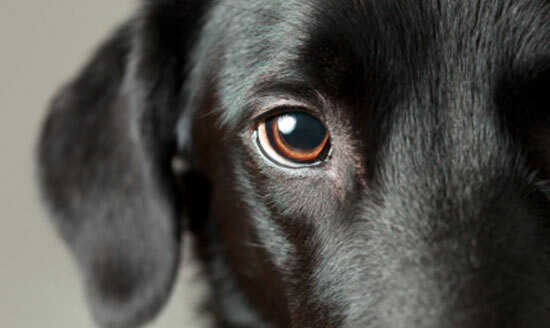 We have to teach dogs to understand our language, and to help prevent dog bites, we should do our best to understand theirs. Dogs use body language – from facial expressions to posture – to communicate how they're feeling. The dog bite signs below aren't intended to be a definitive guide, and are only an educational tool to give you some information on dog bite safety. Just because something is or is not mentioned here is not a guarantee that a dog will or won't bite. The descriptions below are generalizations, and keep in mind that each dog and situation is unique. Dog stares at you with tense facial expression: May be a threat. It's best to look away slowly. Lips pulled back with teeth exposed: Dog is probably telling you not to come any closer. However, if the dog has a submissive posture (lowered head, yelping, and whining), this may be a submissive "grin." Tail held stiff and high and rapidly moving back and forth: Dog is probably standing his ground. It may look like he's happy, but the rest of his body will indicate that he's not relaxed. Dogs generally do one of three things with their body: Stay the same size, try to look smaller, or try to look larger. A happy dog will look normal with their weight distributed evenly. A scared dog will hunch as though trying to look small. He may lower to the ground or pull back from what is frightening him. A submissive dog will also try to look small. His head might be high, however, if he's greeting another animal or a person. A dominant dog will make himself look large. He will stand erect with his muscles tensed. His weight may be distributed over his front legs. An aggressive dog will try to look as large as possible, and his posture will be accompanied by other angry signals. Dogs sometimes shed more than normal when they are scared or stressed. They will also raise their "hackles" – the fur along their spine – when they are afraid, angry, insecure, nervous, or very excited. Injured by a Dog Bite and Have Questions? Even the most knowledgeable and cautious people can be the victim of a dog bite. If you've been injured, we can help answer any legal questions you have about your situation. There are time limits to file a claim, so if you are even considering taking further steps, it's best to act quickly. Our legal consultations are free – just call 1-866-943-3427 or fill out the form at the top right of this page. Source: "Canine Body Language." ASPCA. April 18, 2014.